Searching for random things is many people’s way of amusing themselves while browsing the internet. We can totally relate to that, because we like to do that, too. This is the best way to learn new things that you never really thought existed. In order to give an example of the amazing things and facts you could find, we selected some of them and compiled them in the list you are about to see. This literally blew our minds! We never thought that a bird could sleep while standing on one foot, but it is apparently a fact! 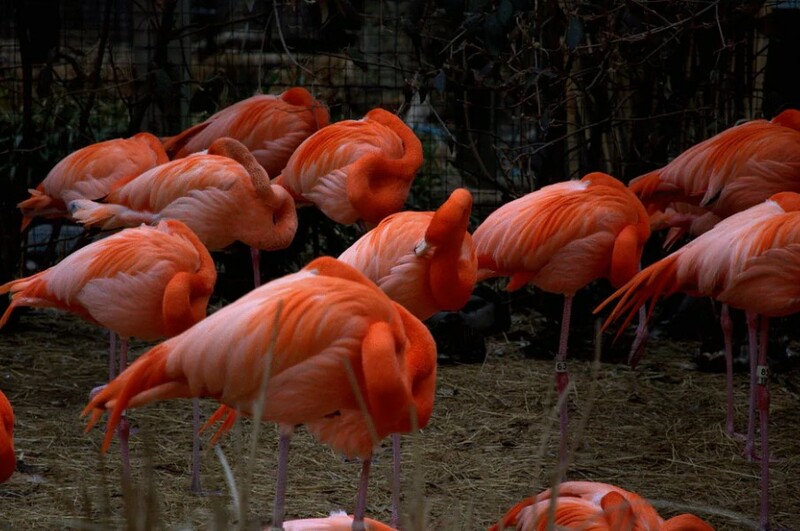 As you can see, flamingos usually nap while standing on one foot. This is part of their nature and their bodies are specially adapted to it. The foot is able to be firmly locked into this position because it is a part of their bodies’ bone structure. 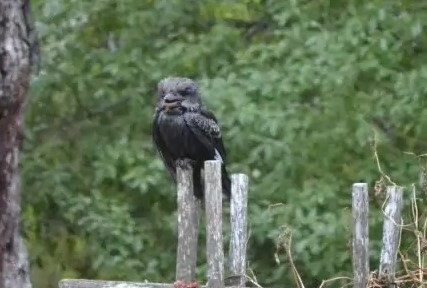 The fascinating birds can also sleep like the majority of the other wild birds, but this is a rare thing to see. Yes, this is right; the photo you see shows a regular plastic bottle with the cap on. 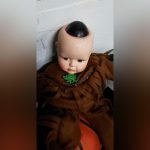 Nobody shrunk it and there is a perfectly good explanation about its size. 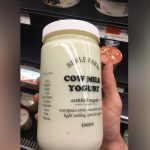 This is the bottle before it is molded to the size we are all used to. The method is called ‘blow molding’ and it involves compressed air which expands the plastic to the right size. This is the way most plastic bottles are produced. Believe it or not, this flower grows the way you see it! 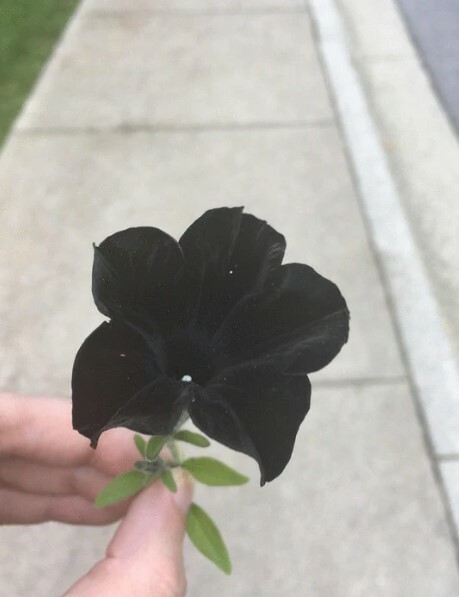 It is called Black Velvet Petunia and it took a lot of time and effort to breed it right. The specialists spent four years of crossing different species with mostly dark purple color. However, it is not actually black. The flower blooms in a incredibly dark shade of purple, which is really close to the pure black color. 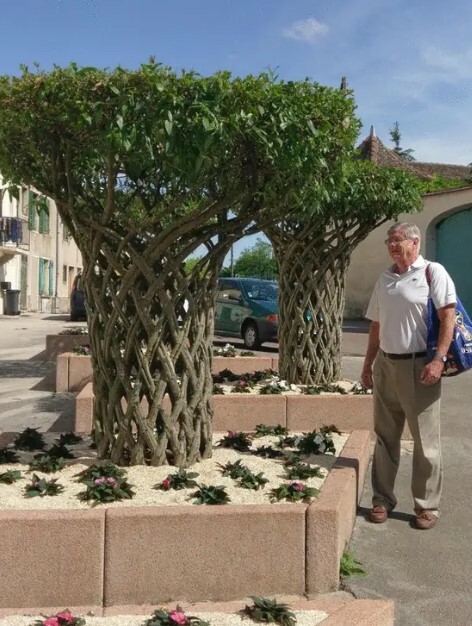 These amazing decorative trees can be seen in Chagny, France. We were really excited to see them, because we want something similar in our back yards. However, they turned out to be much more complicated to grow than we thought. Every tree is actually made of several different plants. They were constantly guided until they started weaving around one another, creating this beautiful pattern you see. Hailstorms are really one of the worst things on the planet, because they can cause a lot of damage. Some regions are prone to regular hailstorms and the people living there are more or less used to it, but they could still be surprised by what could happen. The photo you see above is a proof of that! 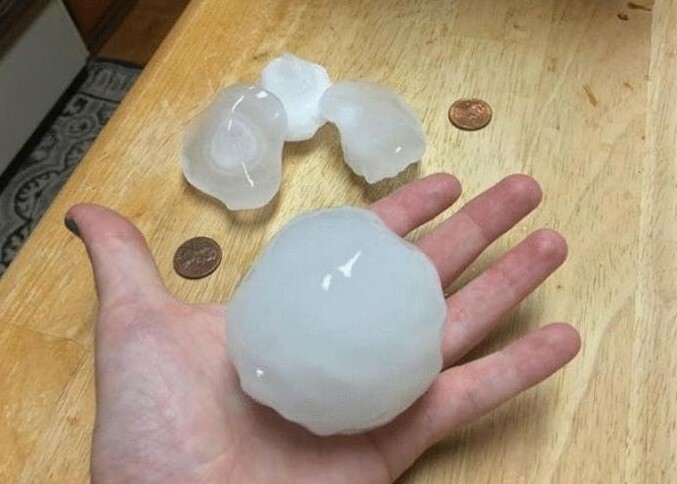 It was taken after a hailstorm in North Texas, and you can see the unbelievable size of the ice chunks that fell to the ground. We have never seen anything like this before. When it comes to grammar, people would always argue about this and that when they have the chance to. This sign would be the perfect object for discussion. Most people would tell you that the word ‘less’ should have been used instead of ‘fewer’, but they would be wrong. You see, ‘fewer’ is used for plural nouns only, while ‘less’ is used for singular nouns. 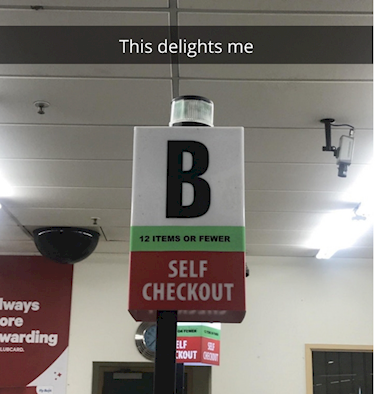 Since we are talking about a number of items, we need to accept that the sign is correct. You may have seen this before if went to Europe for a trip. What you see here is actually the border between Belgium and the Netherlands! It is located in the town of Baarle-Hertog and everyone can go there as part of their tourist trip. You have the unique opportunity to stand on two different country territories with each foot, which is a rather interesting experience. Some of the buildings and facilities in the town are literally split in half by the border. We have all used an escalator at least a couple of times in our lifetime and we accept is as something common. However, it is part of our everyday lives that we would like to know more about. This was actually made possible by this clever construction. 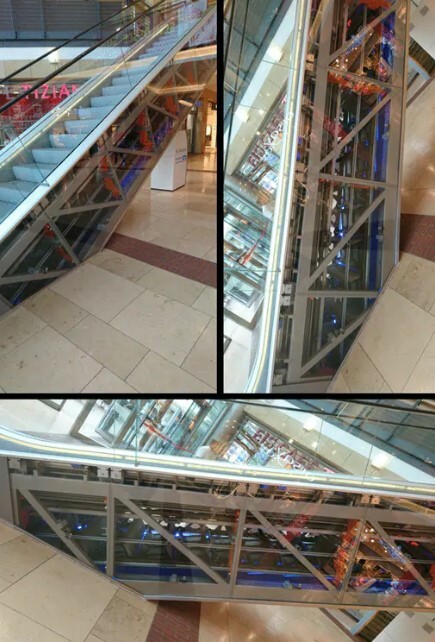 The sides of this escalator are completely transparent, revealing the machine’s inner workings. It appears to be really interesting and we would like to see it! We have stated many times before that nature always has a new trick for us. Sometimes we are left speechless by the beauty that we see, and this case is no exception. 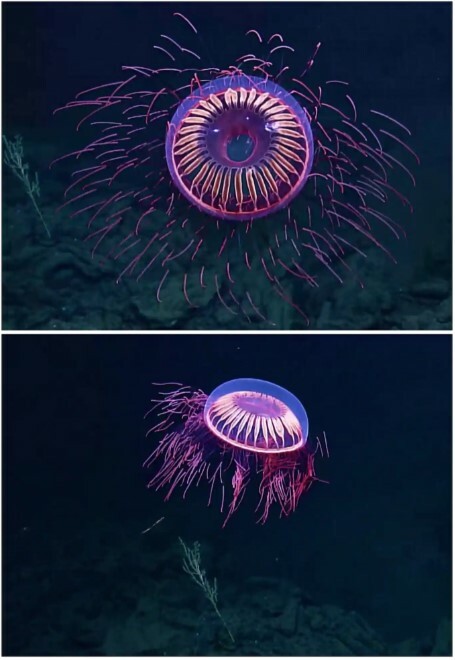 This stunning jellyfish is called Halitrephes maasi and it glows in the dark and looks like fireworks! We cannot imagine what it would feel like to see one of these creatures underwater! The photos were taken with a small submarine off the coast of Mexico. This is surely one the most amazing things we have seen in a while! The human body is an amazing and extremely complicated machine! Scientists are exploring it as we speak and they have yet to reveal many secrets about it. Sometimes people make a new discovery about their body by accident. This was the case with the man who posted these two photos. 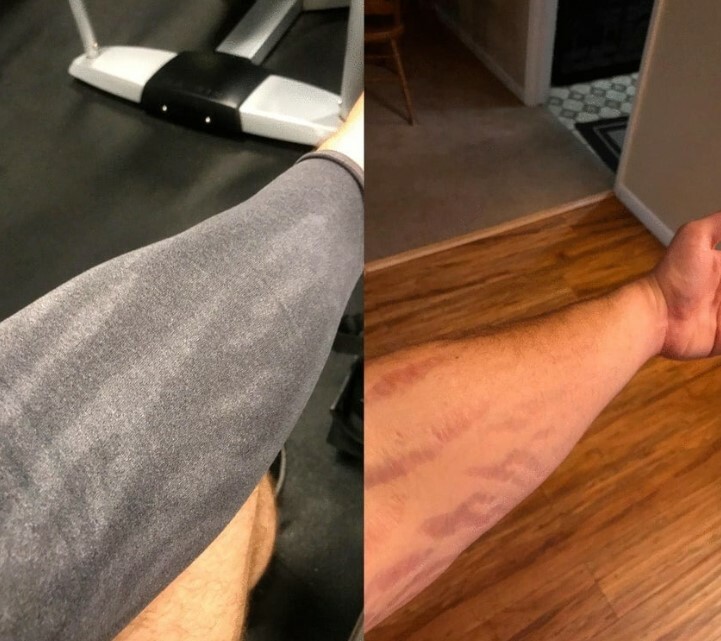 He was very surprised to find out that the sweat pattern on his clothes was a perfect match to the scars on his forearm. This is actually a normal thing, because after the tissue and the skin recover, the sweat glands and the hair follicles never regenerate. It might sound crazy, but it is true. They do shed and you can see the photo for reference. 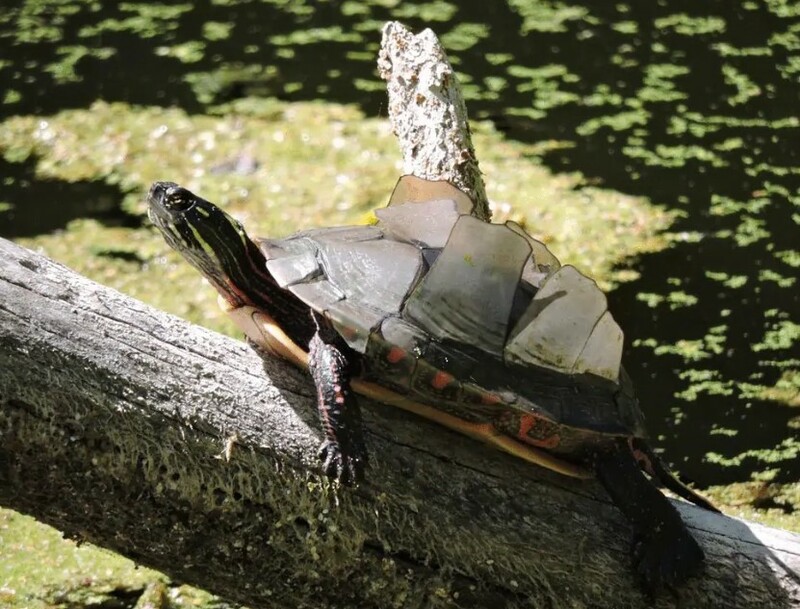 As the animal grows in size, the plates on its shell which are called scutes gradually fall off, because new and bigger scutes are growing underneath until they form the final shape and size of the shell. The whole thing appears to be an interesting process, but it is also kind of weird, too. Samuel Clemens, also known as Mark Twain, is one of the most famous writers in the world. His work is studied in schools across the world and his legacy and wisdom will live on forever. But you probably didn’t know that except a very talented author, Mark Twain was also a really interesting person. You might even call him extravagant! 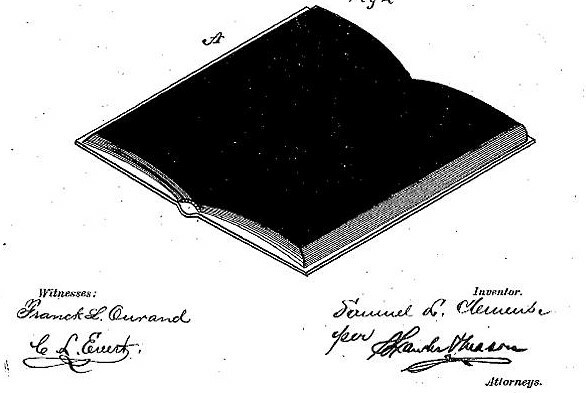 But there was even more to him – he was also a businessman and something like an inventor – he developed the scrapbook and added adhesive pages, and sold books worth $1.2 million in today’s money. This might sound as a joke, but it is an actual fact! Reportedly, one Italian bank is willing to accept wheels of Parmigiano-Reggiano as collateral for loans they give to farmers. The cheese wheels are accepted and store in a modern facility. The time they will spend there is not a problem, because the cheese will not be spoiled soon. 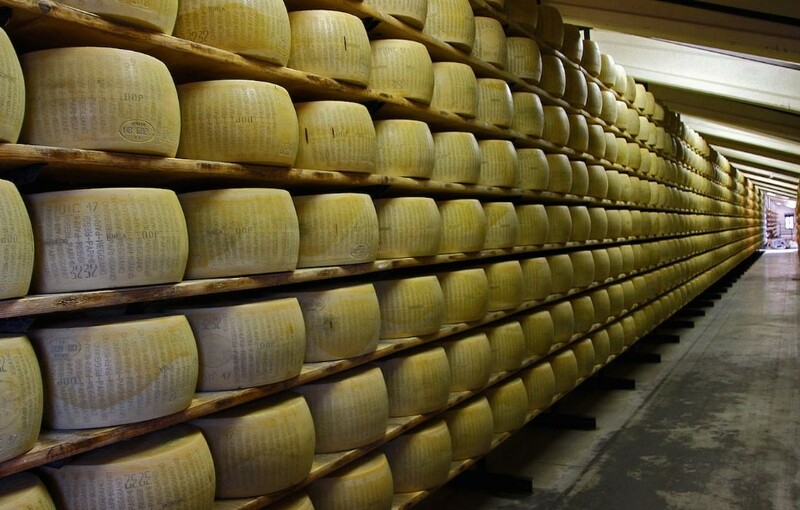 The typical aging time for Parmigiano-Reggiano is between 18 and 36 months! 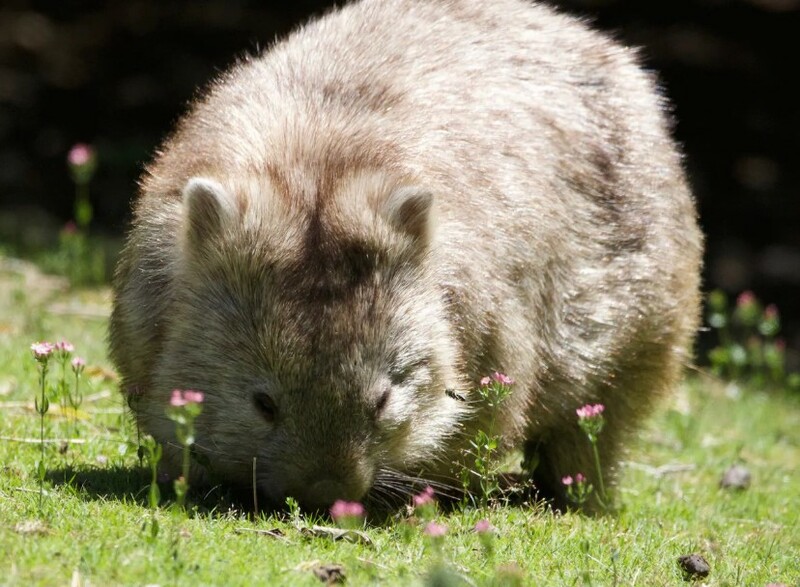 Wombats look really cute and cuddly, but they are wild animals after all. However, there are some facts about these animals that are not known by many people. For example, the wombat has a marsupial pouch to carry its young, but it is turned backwards. What’s even more interesting is their poo! It is not round as most of the other species, but it is square instead! Wombats even have bones that help shape the poo like that. It is believed that the poo is square in order to stay in place when the animal marks its territory. What you see here is a microscopic photo of slug’s teeth. 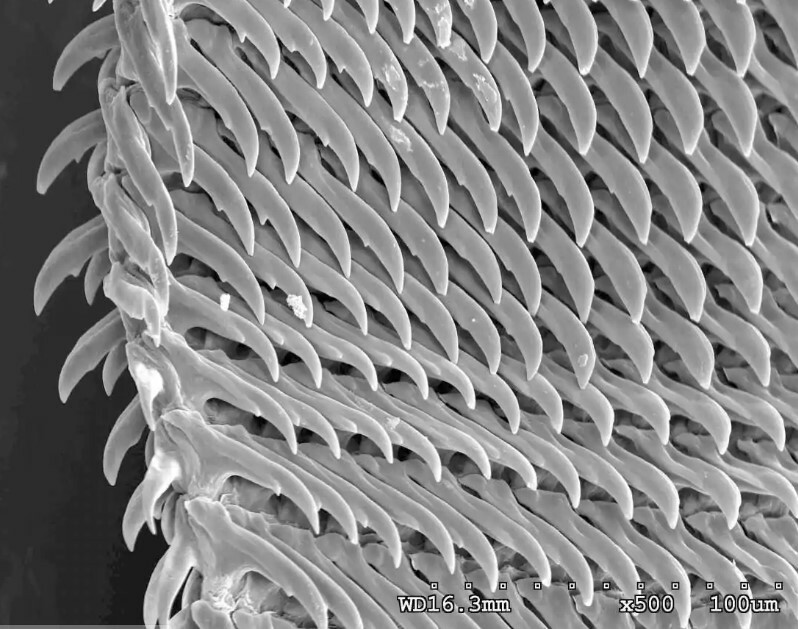 Apparently those critters have approximately 27,000 teeth, which is a mind-blowing fact! They seem innocent and probably a bit gross, but until now we thought that they are harmless. We would definitely never look at a slug or a snail the same way again. This is something really interesting, despite that the fact the circumstances around it and the reason for its existence are not particularly nice things. What you see here is a lot of super thin glass strings created when a volcano erupts. It happens when gas bubbles burst on top of the volcano during eruption. 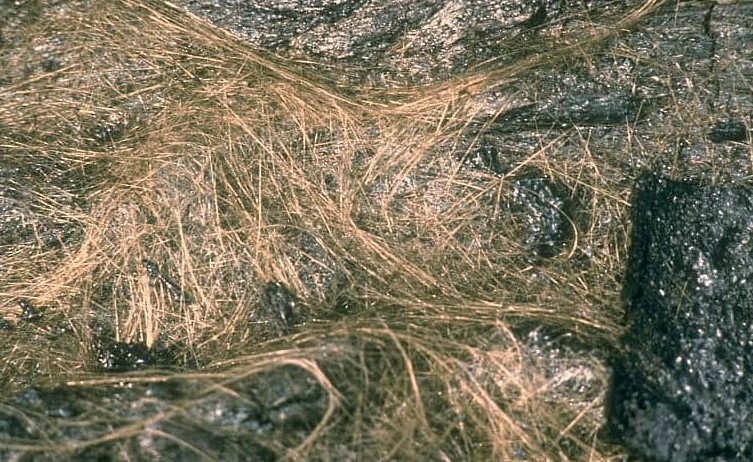 The name of this strange phenomenon comes from the Hawaiian goddess of fire and volcanoes. It seems appropriate when you look at it and know how it is formed.